Culinary Institute of America | John Canning & Co.
For this restoration project, Canning Co. acted as both the prime and specialty finish contractor, coordinating all work and trades. This included general and decorative painting, new lighting & HVAC, fire alarm, and sound systems. 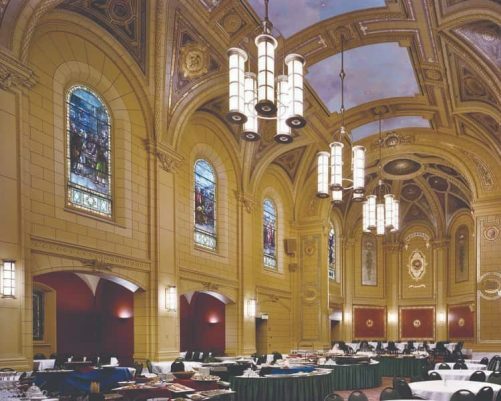 The project restored the fine art quality of the original ecclesiastical decoration, and extended the design to reflect the Culinary Institute’s roots. These new designs incorporate a major donor’s family crest and portraits of the Institute’s co-founders Katherine Angell and Frances Roth, along with trompe l’oeil mosaics featuring images of food preparation. 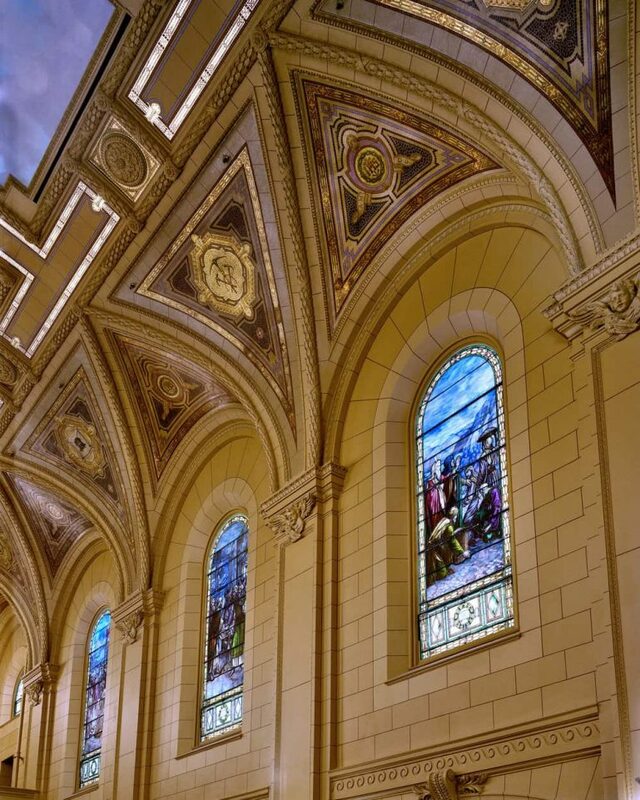 The barrel-vaulted ceiling was conserved and new sky murals were added. All the exposed surfaces in the hall are ornamental plaster decorated to imitate natural carved stone. Based on an original paint scheme simulating ashlar block, new paint and glaze colors were chosen to recreate the look of stone.